Welcome to Deutz Heritage Farm. Our mission since moving on to our family farm in 2010 has been to provide high quality products while improving our sustainability, farming techniques, and soils. 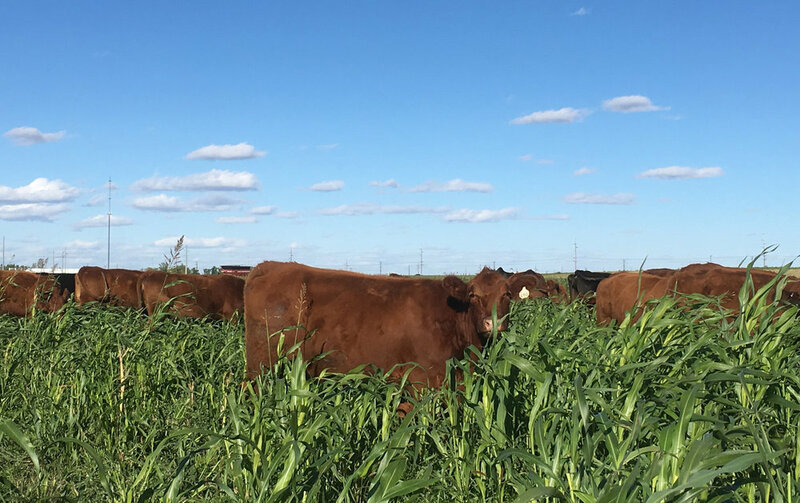 A whole farm systems approach is taken in raising our grass fed beef, heritage pork, and seasonal free range chickens, with a focus on soil health and moving towards a closed loop farming system. This all leads to products that taste great and are raised in a responsible way that blends new and old farming techniques, to best provide a farm that mirrors the past, but is also looking towards the future. Our Grass Fed Beef is now available in cuts, quarters, halves, and wholes. Recently Named University of Minnesota's Lyon County Farm family of the Year.